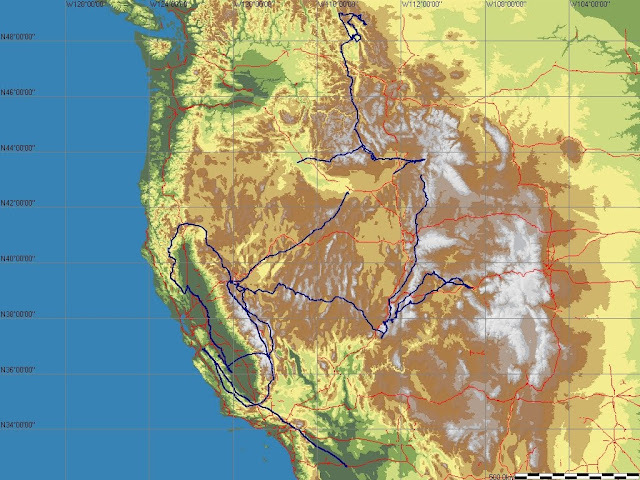 The above traces are from 5 flights spanning 5 states and 2 National Parks (Glacier and Grand Teton) from California (Lake Tahoe) across Nevada, Idaho, Montana and Wyoming to the Canadian border, a total of 1575 miles (2500 km). Flights including a straight out from Truckee, CA to Twin Falls, ID and from King Mountain, ID to Kalispell, Montana near Glacier National Park, each flight nearly 400 miles. Also had a fantastic flight from Kalispell, MT to the Canadian border by Waterton Lakes and all over Glacier National Park with fantastic views of the Glaciers.. Flew over the same area we hiked the prior day. On the ground we visited 4 states and one country (Canada) and 2 National Parks (Glacier and Waterton Lakes). Total road miles 3330 in 10 days. I am lucky to have a wonderful wife willing to follow me with the glider trailer. Couldn't do it without her! Video clips available on my YouTube channel. 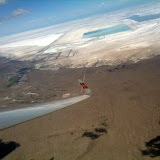 Below is a collection of some of my soaring flights during the last few years connecting between the Mexican and the Canadian borders (with a short 33 miles gap), and between the Pacific Ocean to Colorado.